Here at Ace Acoustics, we supply an extensive range of acoustic solutions to enhance the sound and eliminate sound related issues in a wide range of spaces. These acoustic baffles can be fabricated on site or built in off site. Whatever your specific sound requirements, our skilled and experienced team will ensure to configure the perfect solution for your project. For large open spaces, such as airports, train stations, leisure centres, factories, studios, open plan offices and schools, Whisper Baffle offers the perfect solution to noise and reverberation problems - offering a flexible approach to noise control. 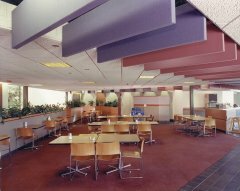 Acoustic baffles offer the perfect acoustic solution when the installation of conventional suspended ceilings are not possible, or when the volume in the space must be maintained, and also when the natural light is brought into the room through skylights. 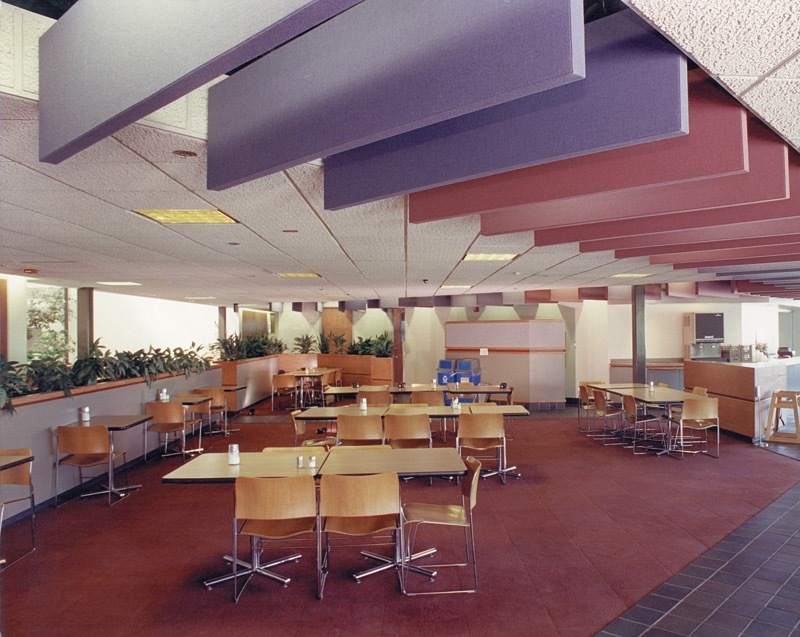 Whisper Baffles are suspended from the ceiling using adjustable aircraft cable. 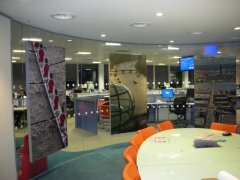 You can reproduce images, designs or logos, or a series of images, onto each baffle. These can be hung independently or can be joined in line edge to edge, to create a distinct, customised appearance. Baffles can be easily maintained or updated by simply replacing the fabric. As with all of our acoustic solutions, our acoustic baffles are designed to be safe and secure at all times. Constructed from Euro Class ‘1’ (Euro Class ‘C’) fire-rated materials in line with all of the relevant EU and UK regulations, making them safe for use in a variety of applications. Acoustic baffles offer an incredibly effective and versatile sound solution, providing absorption across their complete surface and edge profile in order to deliver a high level of performance and functionality. These acoustic panels enable you to make the most of limited space with our affordable, movable fabric-covered tuning panels. The durable sound absorption modules are designed and structured to be to be moved or removed as needed, Whisper Tune panels enable you to ‘tune’ a single room to fit the specific needs of any number of users and are perfect for use in school music rooms, theatres and multi-function areas. Dual density cores can also be utilised for specific acoustic panel requirements. As with all our products, the fabric covers are completely removable (and replaceable) because our polymer stretching system uses no glue or mechanical fasteners to attach the fabric. We also supply an extensive range of other acoustic solutions, including Whisper Clouds, Whisper Ceilings, Whisper Walls, and Whisper Art. So, whatever your acoustic requirements, we will have a suitable product. For further information about our acoustic baffles or Whisper Tune panels, or to discuss your project in more detail, please get in touch – our skilled, experienced team is ready and waiting to help!